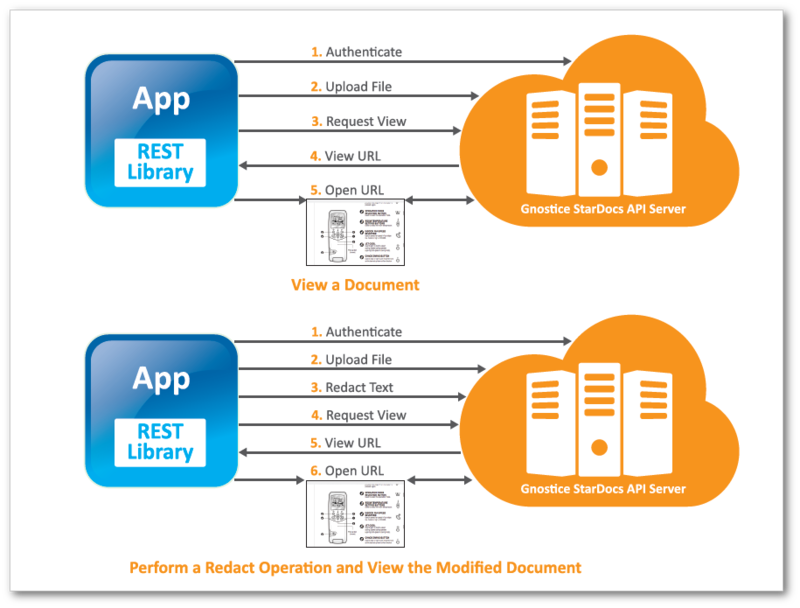 Gnostice StarDocs is a document-processing and document-viewing REST API for use across multiple platforms. It is available as On-Cloud (we host) and On-Premises (you host) editions. In this model, you will not need to embed any library/component into your application, rather you will simply subscribe to the API services and make calls to the Web API to get your work done. You can try both the On-Cloud and On-Premises editions here. The current features include document merge, split, encrypt/decrypt, text redact, conversion between PDF, Word and image formats, and OCR. 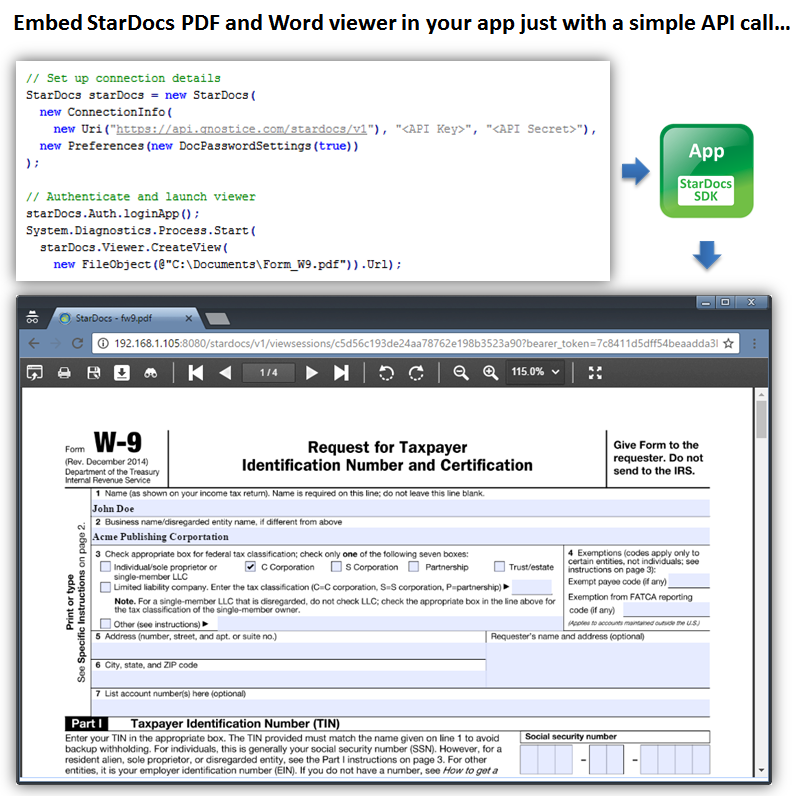 StarDocs also includes document viewing APIs through which you can easily request an HTML viewer for the uploaded documents. Here's the link to the API documentation. Who needs StarDocs On-Cloud? Anyone who is looking for platform-agnostic APIs for specific purposes and does not want a full blown shrink-wrapped product that gets embedded into their app. Anyone who would rather use a pay-as-you-go model and looking for a short go-to-market process. Who needs StarDocs On-Premises? Anyone who has high volumes of document processing and viewing operations happening on one or several apps in their organization and is looking for a ready-made, scalable, centralized, secure, high-capacity server for document processing. Anyone who does not want to transmit/store documents out of their private networks for regulatory compliance or security reasons. StarDocs On-Cloud edition is hosted on Microsoft Azure. Please fill and submit this form to obtain a free REST API key for your trial. To know your usage details, please resubmit the form with the email id you used to register for the trial and we will send you an email with your status. You can use the cloud API keys for the live demo. The trial is limited to processing 100 pages and the generated documents contain a trial watermark. By clicking "Register / Get Usage", you acknowledge that you have read and agree to the Terms of Service governing the use of the StarDocs Cloud APIs and associated downloads. StarDocs On-Premises edition should be hosted within your network. The server is packaged as a self-contained Virtual Appliance and can be hosted on VMWare, Oracle VirtualBox or any virtualization platform that supports the open OVF/OVA format. Please download the zip file, unpack it and follow the instructions in the included PDF file to host the appliance. Please fill and submit this form to obtain a free trial license key. The trial is limited to 30-days and the generated documents contain a trial watermark. 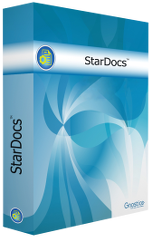 Features provided by different editions of StarDocs are listed here. On-premises or own-infrastucture hosting - Intranet, website, or cloud hosting. Scanned images and scanned PDF can be converted to searchable PDF. Easy to use multi-format HTML5 document viewer. Just upload the document and request for a viewer link - that's it! 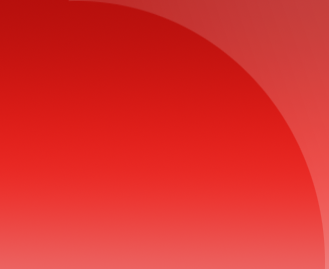 Supported on all platforms that feature the latest browsers (IE9+ and all evergreen browsers). Responsive HTML5 viewer featuring navigation pane, page rotation, zooming and color inversion controls. Show and hide file operation, navigation and zooming controls through API parameters when requesting the viewer. Multi-page continuously scrollable viewing surface. Open webpages with documents pre-loaded in the viewer. Painless implementation, customization and deployment. 40% discount off prevailing price if renewal is made after 1 year but within 3 years of expiry of the subscription (new subscription will begin from the day of purchase of the new subscription). 15% discount off prevailing price if renewal is made after 3 years of expiry of the subscription (new subscription will begin from the day of purchase of the new subscription). Cloud subscription purchase will be available soon. You can mail us at support@gnostice.com if you wish to purchase it now. You can send an e-mail to support at gnostice.com or use our online feedback form to send us support queries. Reference documentation for the REST API is available at here. We have also published technical articles related to StarDocs and other Gnostice developer tools, as part of Gnostice Newsletter. To subscribe to the newsletter, send a blank e-mail to info@gnostice.com with the subject set to "SUBSCRIBE". You can also get notified of the latest articles via our newsletter RSS feed. The Terms of Service governing the use of the StarDocs Cloud APIs and associated downloads are given below.